The Mpreis brand is renowned for going against the flow by insisting on values in the design of its stores, emphasising not only the formal quality of the architecture but its environmental compatibility. Established in the ?20s as a family-run grocer in Innsbruck, the brand has expanded throughout the Tyrol and the rest of Austria. 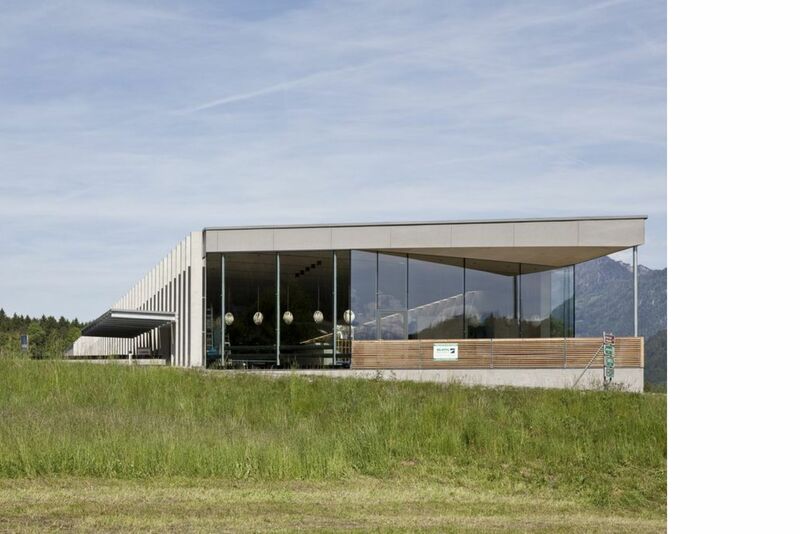 One of its most recent new shops, designed by Daniel Fügenschuh, is located near the motorway exit in Wiesing, an Austrian village known for its harmonious landscape located at the entrance to the Zillertal valley, near Achensee Lake. With the intention of providing a service to the community as well as running a business, the brand adopts forward-thinking policies such as commissioning young architects and small local studios to design its shops, supporting local culture and development, without any interest in boosting its image by associating its name with world-renowned architects. 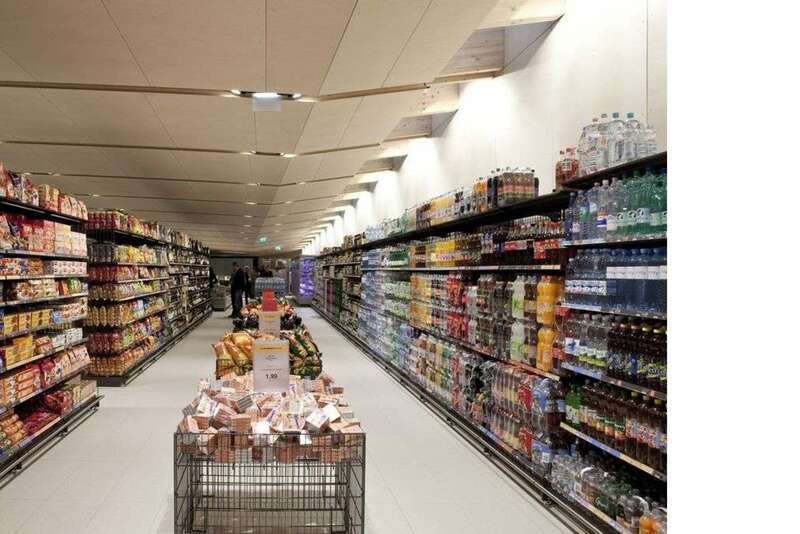 The architects appointed to design Mpreis supermarkets feel a great deal of responsibility toward the brand - which offers them complete freedom of expression, asking that each shop stand out in the town where it is located for its unique design ? and toward the community, in a beautiful natural setting which everyone involved wishes to protect and preserve. Daniel Fügenschuh sees business requirements not as a limitation but as an opportunity to make the most of the town?s local identity. His cement structure has a wedge-shaped floor plan which sits on the land in such a way as to create perspectives, opportunities to contemplate the view while stopping to do some shopping. The building?s four walls, all different, have particular features which mediate between the requirements of practical use and operation and the need to interrelate with their surroundings. To the north, facing the Rofan mountains, the building has a glass wall interrupted by cement pillars supporting the roof, which continues to the west, where the building contains a coffee-shop and restaurant. But the most interesting wall is to the south, where a bare cement wall cut by the line of the sloping ground stands out in the landscape without coming into conflict with it at all, but rather blending into it, thanks to the colour of the big untreated cement panels, demonstrating that respect for one?s surroundings is not limited only to buildings that are more than 100 years old. The building is designed to make optimal use of energy resources for climate control: heating is operated by a heat pump which uses air expelled by the supermarket?s refrigerator units. The building is oriented to shelter it from daylight on the southern side and capture sunlight on the north and west with its big glass walls, saving more than 50% on energy consumption over the supermarket brand?s other stores, according to the architect.